Goodbye Safeco Field! The Mariners’ ballpark sign comes down to make way for T-Mobile Park! 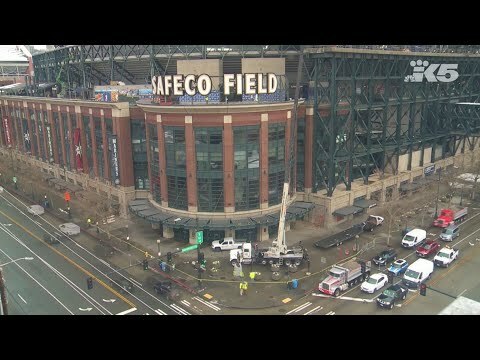 The end of an era in Seattle Mariners baseball as T-Mobile Park’s old name – Safeco Field – is removed from the ballpark. 4 Responses to Goodbye Safeco Field! The Mariners’ ballpark sign comes down to make way for T-Mobile Park! Unbelievable how Safeco Field was the name for so long. Fuckn T-Mobile. Why u did not load the S?? This ballpark's name will always be SAFECO FIELD to me no matter how many name changes that building goes thru.